We are always here to help you………………….. Most Canadians are unaware of their ultimate tax liabilities. Have you and your spouse been fortunate enough to accumulate substantial savings in RSPs? Did you roll your RSPs into a RIF? Did you know that 46% of those hard-earned retirement savings will be taxed on the second death of you and your spouse? In other words, your estate will pay the government $460,000 on $1 million of retirement savings. Have you accumulated assets in a holding company? Did you know that 32% of those assets in the holding company will be paid as taxes on the second death of you and your spouse?In other words, your estate will pay the government $320,000 on $1 million of investment holdings. If you have accumulated capital gains from your investments or business, did you know that 23% of those gains will be will be paid as taxes on the second death of you and your spouse? In other words, your estate will pay the government more than $1 million on $5 million of investment growth.The bad news summary: A ticking time bomb called taxes is looming in your future. The good news summary : All of the taxes described above can be reduced to zero with proper planning that you can begin right now with this checklist. Getting organized is usually the most difficult step in estate planning. 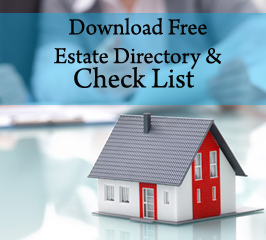 This important planning tool will help you identify your estate planning needs. 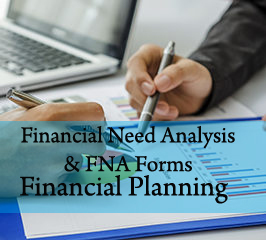 When completed, share with your professional advisors: accountants, tax specialists, certified financial planners, trust and estate practitioners, insurance advisors and family law professionals to help implement the plan. Have you reviewed your insurance coverage lately? Do you need more information on Investments or Retirement Plans? Please feel free to contact us for your free, no-obligation consultation. Prepare a household balance sheet that includes all your assets, liabilities and insurance policies. This will help get a financial snapshot and determine the amount and type of assets that make up your estate. Get the help of a qualified professional to help determine the amount of taxes and fees owing on your estate. This part can be quite complicated, especially if you are a U.S. citizen or if you hold certain assets in other jurisdictions inside or outside Canada. Determine your family’s income needs. Will your estate have enough income to meet your financial obligations and desires? Will your beneficiaries have sufficient liquidity to service personal debt, provide an income for dependents and allow for necessary savings (education, etc.)? Do you want to provide benefits beyond the next generation? Will there be adequate liquidity to pay the expected taxes and estate costs and still leave a legacy? What is the impact of passing on certain assets (such as a business or family cottage) to only some of your children? Are there enough “other” assets to ensure your estate is distributed equally (or fairly)? Can your beneficiaries share certain assets? Would this maintain family harmony? Do you have the proper amount (and types) of insurance to meet your specific needs, including income replacement, estate preservation, estate equalization and leaving a legacy? Are you paying for your insurance personally or with lower taxed corporate or Holdco dollars? Did you know that you can sell your personal life insurance to your corporation and get tax-free cash out of your company? How would you like to distribute your assets among your family, friends and charitable organizations? Do you own specific items (like jewelry, artwork, etc?) that you wish to gift to friends, family or others? Are you interested in making tax-efficient charitable donations upon your death, including establishing charitable emainder trusts, private foundations, donor advised funds or making charitable gifts of securities in your estate plan? Do you want your executors, trustees or beneficiaries to secure professional financial or other advice from specific advisors or do they already have the necessary skill sets? Does your estate plan provide your executors and trustees with the necessary powers to make your estate plan effective and efficient? Do you want to provide your beneficiaries with ongoing financial support while ensuring additional access to capital while growing up? Should you make special arrangements to protect the inheritance of minor children until they attain responsible ages or reach certain pre-determined milestones, such as attaining a certain level of education? Is it your desire to keep your children in the family home, or ensure suitable accommodations? Are special arrangements required for infirm beneficiaries, including protecting their social assistance or other government support on a long-term or permanent basis? Do you have any other dependents such as physically, mentally or financially dependent parents? Are you concerned about a future marital breakdown of your children or your surviving spouse, and the impact it will have on your estate? Is it necessary to protect beneficiaries with poor financial judgment or skills, or those who might otherwise be unable to manage money? How do you own your assets? Did you know that if you hold an asset “joint with right of survivorship (JTWROS)” the survivor will inherit it, as opposed to it being distributed according to your will? Is the payment of probate fees a concern? Did you inadvertently change the ownership of your assets (to “JTWROS”) such that your estate plan no longer works as planned? Is there an opportunity to save probate and other estate costs on certain assets that doesn’t require probate—private company shares for example? Does your jurisdiction have rules over type of planning? Have the appropriate beneficiary designations been made for registered plans (RRSPs, RPPs, DPSPs, TFSAs) and insurance policies? Is there a buy-sell agreement in place? Are there any other shareholder agreements that govern the effective and efficient wind-up or sale of your business? Are they structured properly? Is the proper amount and type of insurance in place to provide the business liquidity? What if a key person becomes incapacitated—do you have proper insurance to implement a contingency plan? Should consideration be given to an estate freeze to minimize your tax liability and allow the future growth to accrue to your children or successors? If your family carries on your business, will there be enough liquidity to see them through the transition period after your death? Does your business take advantage of the $10,000 tax-free death benefit or the ability to pay out tax-free dividends through the capital dividend account? Are you (or your spouse) a dual citizen or do you own any assets outside Canada? If yes, have you considered potential U.S. estate tax issues? Are there any plans to move out of the jurisdiction in the future? Do you have sufficient liquid assets to cover tax liabilities? Does your estate plan address the potential for double taxation on your estate? Do your executors/trustees/beneficiaries reside in Canada? Do they plan to remain here? Have you addressed all the legal and tax implications associated with foreign jurisdictions? When it comes to preparing an effective estate plan, there are many issues to consider and the whole is greater than the sum of the parts. Each piece of the estate plan must be addressed as part of the overall picture to ensure all components are working effectively together to deliver the best results. It’s important that you have a holistic discussion with a professional experienced in trust and estate planning. Do it now while the sun is still shining. Note: The tax rates used in this article are based on current Ontario rates.